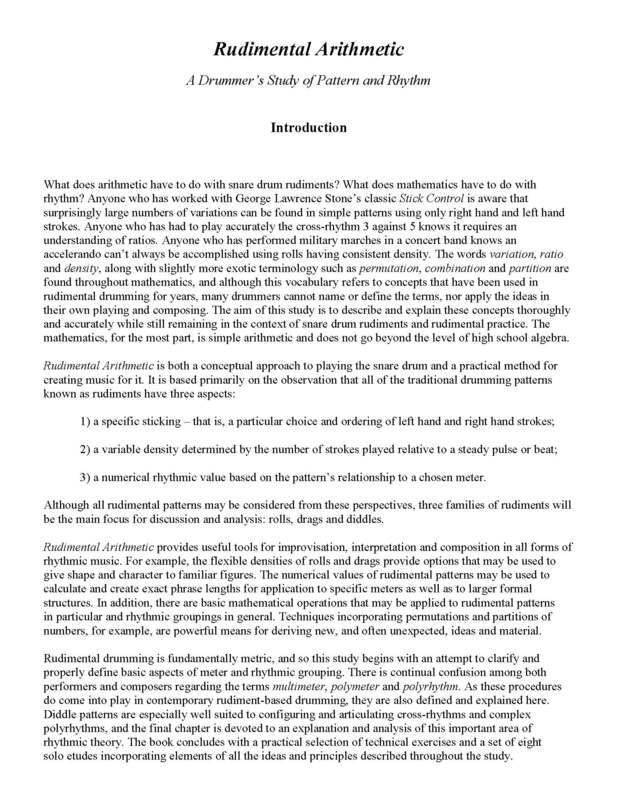 Rudimental Arithmetic is now available. 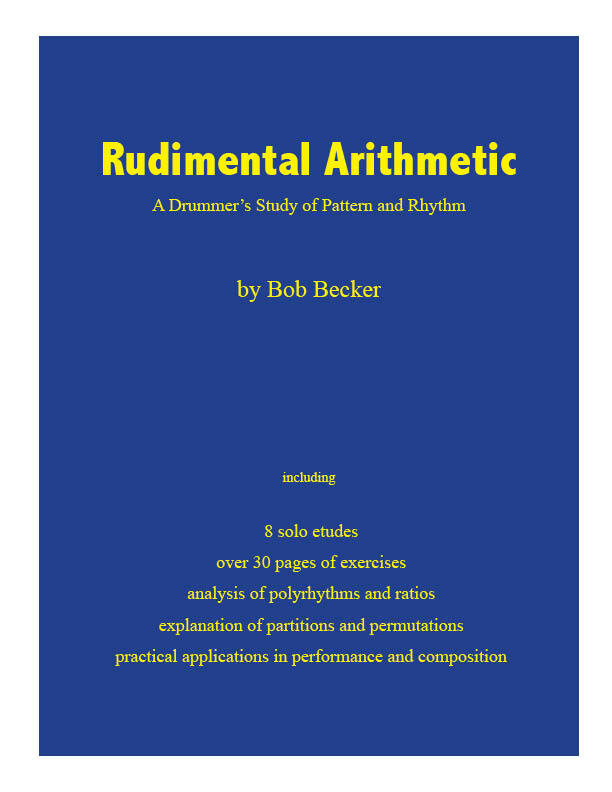 Click HERE to download a press release about my new book: Rudimental Arithmetic – A Drummer’s Study of Pattern and Rhythm. It’s available now from HERE to read Mark Ford’s recent review in Percussive Notes (April, 2009). The book was in progress for several years and has been a real adventure for me to write. Somebody once said: “There are only two kinds of math books – those you cannot read beyond the first page, and those you cannot read beyond the first sentence.” That statement may ring true for many people, and yet Albert Einstein also said: “Everything should be made as simple as possible, but not simpler!” For the most part, this study uses simple arithmetic and a few basic rudiments (rolls, drags and diddles) to explore some profound and fundamental aspects of patterns that relate to sticking, grouping, permutations and polyrhythms. In addition, over 30 pages of exercises and eight very challenging solo etudes apply the concepts in practical ways. 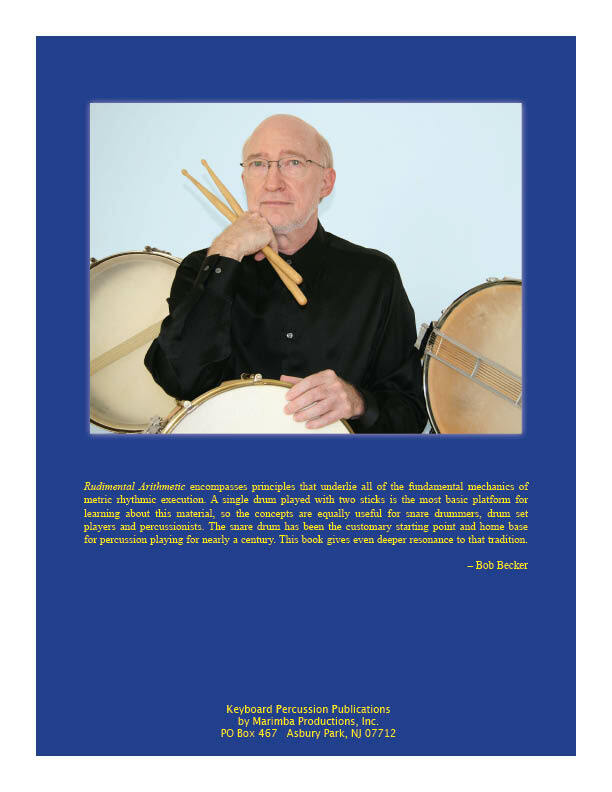 The book is meant to be a resource for ideas that can be used directly in composition and all areas of performance. Just wanted to drop you a quick note to say that we love the book. We have it in stock and up on our site at http://www.steveweissmusic.com/product/rudimental-arithmetic-bob-becker/snare-drum-books.